Outdoor education is an integral part of the St. Mark's experience. Confronting some basic problems of life in the wilderness under the guidance of skilled and caring adults helps our students learn to cope with uncertainty, to gain self-confidence, and to develop self-reliance. The wilderness experience not only teaches the skills of an outdoorsman, but also develops a boy's ability to organize and to lead others. Being together in the wilderness gives teachers and students an opportunity to interact in a way not possible at school. These experiences help to unify our school and teach us the importance of working together and caring for one another. Boys ought to develop an appreciation for nature and an understanding of its delicate balance. They need the opportunity to see themselves as part of the cycle of nature and to discover meaning and contentment in a simpler, humbler existence. Tomorrow's leaders must accept the challenge to bear their share of responsibility as stewards of the earth. Finally, the life of every boy should include the fun of camping and cooking and living in the freedom of the outdoors, and every store of childhood memories should be rich in the recall of days in the open and nights under the stars. All St. Mark's students beginning in the sixth grade and continuing through the summer before their freshman year are required to participate in the wilderness program. Upon entering the Upper School, students have the option of continuing their experiences by joining the Sherpa Club. Camping in the Middle School is built on a curriculum of sequential skills, which culminate in a ten-day trip to the Pecos Wilderness of New Mexico, the summer before a student's freshman year. At St. Mark's we favor a low impact, low technology philosophy of camping. When simplicity and ingenuity will suffice in place of costly specialized equipment, we prefer it. We sleep under tarps, and what we carry in, we carry out. While in camp we keep noise to a reasonable level, and we acknowledge the right of plants and animals to share the wilderness with us in peace. In an earlier day, when most Americans lived in towns or on farms and ranches, the reciprocal benefits of this connection were experienced in the course of a normal life. One part of our national greatness was based upon it. Keeping this educational link vital in a society increasingly oriented to urban activities and values, and limited to urban boundaries, requires a stretch on the part of our school community, by teachers, students and parents. For what we learn - and for the fun of it - The Wilderness Experience is worth the effort! The Pecos Wilderness Trip is a rite of passage for the rising 9th graders - their introduction to the Upper School. Most Alumni who return to the school fondly recall their own Pecos Wilderness Trip, and it is something that all alumni have in common as a St. Mark's experience. At the end of the fourth grade, during the month of June, interested students have a chance to go to Grand Teton and Yellowstone National Parks on a week's trip. There they go (with guides) nature rafting, fishing, and horseback riding. They also go hiking and look at wildlife (bear, wolves, elk, moose, bison, and other small animals) at a safe distance. The group stays in the tent cabin portion of Colter Bay in the Tetons for four nights and in cabins at Roosevelt Lodge in Yellowstone for two nights. The group travels from Dallas to Jackson by van. Breakfasts and dinners are eaten at nearby restaurants and most lunches are picnic style. The goal of the Environmental Studies Program at St. Mark’s is to increase our community’s understanding and awareness of global environmental issues and how we affect and are affected by these issues. 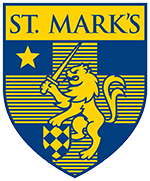 The Environmental Studies Program spans all grade levels as well as continuing education for the entire St. Mark’s community. The program explores ecological concepts through a variety of methods including class projects, field trips and visiting scholars, and finally the AP Environmental Science course.